We have another great blog swapper with us today! Elizabeth from 12 crafts Till Christmas! You may remember that she was the winner of our very first Iron Crafter Competiton! She Reigned Supreme with Recycled Cans!! I am so excited that she is visiting with us today!! 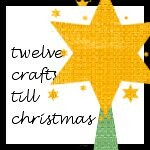 Almost seven months ago I began sewing and started a little blog called twelve crafts till Christmas on a whim. You should know that twelve crafts till Christmas has very little . . . well, nothing actually . . . to do with Christmas. You won't find Christmas-themed recipes, decorating ideas, crafts, traditions . . . I think you get the idea. I know. I know. 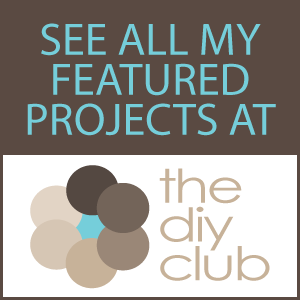 The name of my blog is a little misleading, but did I mention that I started it on a whim? That's the kind of name I could come up with on a whim. Twelve crafts till Christmas is really all about my journey in making all my kids' Christmas gifts for December 2010. And before you ask . . . yes, I do need an entire year to do that! Along the way towards my goal, I've also been on a mission to inspire people to make at least one - just one (unless you're inspired to do more) - homemade gift this year. There is nothing better than a gift that has been labored over and loved on, so I provide a bunch of tutorials and gift ideas mixed in with my own novice sewing and crafting antics. 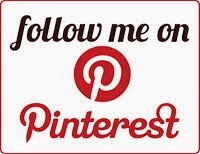 I also have a stocking stuffer share-along page on my blog so that you can join in by inspiring others too. Come by and link up any homemade gift idea or tutorial that you think would make a fabulous stocking stuffer for boys, girls, women, men, pets, etc. I truly believe that anyone can make something for someone because in seven months of sewing and crafting, I've gone from saying, "Oh, I could never make that," to "Hey, I think I can make that!" Yep, that's it! (Well, you need a sewing machine, scissors and straight pins too.) See, I told you it was easy peasy. Here's what you do:1) Pin the ribbons wrong sides together. 2) Sew as close as you can all the way down one edge of the ribbons. Then sew all the way down the other side. 3) Starting about 1 inch up from one end fold over a small bit of the ribbon making a ruffle. Pin. Continue this all the way to the opposite end - leaving another inch on this end. 4) Sew directly down the middle. 5) Put the elastic on one end of the ruffled ribbon and fold the ribbon over the elastic two times. Sew at the top of the fold. Sew back and forth a couple of times to secure. Repeat on the other end. 6) Done and cute! The black elastic part is at the bottom and back of my head (near my neck). The ribbon is really all that shows. Make two or three, tie them together with a bow, place them in a gift bag, and you have one homemade gift done. These are comfortable and cute for women, teens or girls. I do hope you'll stop on by at twelve crafts, say "HI!" and join me in my little gift-making journey. I also have a sweet (literally) giveaway going on right now for an all-natural, eco-friendly candy making kit. 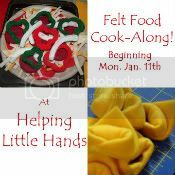 It's a super fun activity for kids and adults. 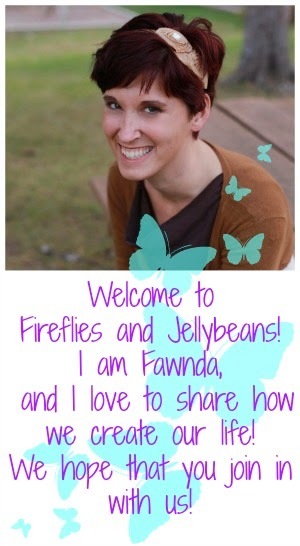 Thanks so much Fawnda and Jeannine for swapping blog space today! I'm going to go gush about it to all my friends now! As I say over at twelve crafts . . .
Wasn't that WONDERFUL!! I want to make 20 of them right now! Now go on over and visit Elizabeth at 12 crafts Till Christmas and say "Hi"!! The Show Off Your Stuff Party is still going on! So, go and link-up your FABULOUS posts there! Also, be sure to enter our Bella Michele Jewelry Giveaway! Hi Elizabeth, I loved these ever since I saw your tutorial. They are so easy and look so cute. They can be easily matched to outfits. You guys look very nice on the picture. It's great that you got to post here so other can find your awesome blog. Aren't you awesome! :) Hey, how come that family photo looks so different from the close-up on your blog??? Hmmm...Do you have a stunt double doing your family portraits these days while you are secreted away in your craft room??? Craft on! Fun headband! You guys are both awesome and so creative! Thanks everyone for the kind comments. And another great big thanks to the two great ladies of F & J for letting me hang out here today!